You're listening to ReachMD. Welcome to this medical industry feature entitled Anesthesiology Dynamics: Teamwork and the Importance of Neuromuscular Monitoring. The following program has been created and paid for by Merck Sharp & Dohme Corporation, a subsidiary of Merck and Co., Inc., and is intended for healthcare professionals. Surgery and anesthesia are facilitated in part by neuromuscular blockade, which helps to provide muscular relaxation for the patient undergoing surgery. Perioperatively, a team of nurse anesthetists and physicians often collaborate to monitor patients and to provide care. I am your host, Dr. Shira Johnson, and I would like to welcome my guests, Dr. Glenn Murphy and Bernadette Henrichs to the program. Glenn is Director of Clinical Research at NorthShore University Health System and Clinical Professor at the University of Chicago, and Bernadette is a Professor and Director of the Certified Registered Nurse Anesthetists Program at Goldfarb School of Nursing, Barnes-Jewish College. They are here to provide insights into the dynamics of working in an anesthesia care team during surgical procedures, as well as discuss the importance of the management and monitoring of neuromuscular blockade during surgeries which utilize general anesthesia. Dr. Murphy and Professor Henrichs, thank you for being here to share your insights on anesthesia. Yes, thank you for asking us to do this. Our conversation today will focus on general anesthesia. Professor Henrichs, could you explain the difference between general anesthesia and other types of anesthesia commonly used in medical practice? Why might somebody be put under general anesthesia? So, there are three major types of anesthesia: local, regional and general. Local anesthesia produces a loss of sensation to a small specific area of the body. Regional anesthesia produces a loss of sensation to a specific region of the body, such as an arm or a leg. General anesthesia produces a loss of sensation throughout the entire body. A combination of local anesthesia with sedation or local and regional where part of the body is anesthetized may also be used. 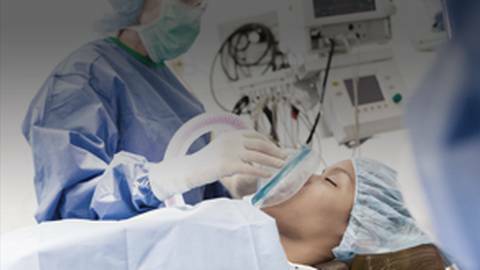 During general anesthesia a combination of intravenous drugs and/or inhaled gases, which are called anesthetics, are used so that a patient is rendered unconscious and unable to feel pain during a medical procedure. Components of general anesthesia include analgesia for pain relief, sleep and muscle relaxation. General anesthesia is recommended for certain surgical procedures including those that may not use other forms of anesthesia such as local or regional or procedures that may affect a patient's breathing, particularly the chest or the upper abdominal surgery. They may result in significant blood loss, they may expose a patient to a cold environment, or they may take a long time. Dr. Murphy, what is a neuromuscular block, and why is it important? Neuromuscular block refers to the muscle relaxing component of anesthesia which helps to keep muscle in its relaxed state by blocking the action of a neurotransmitter that signals muscle fibers to contract. Neuromuscular block is used during surgery primarily for a few main reasons: to prevent patient movement during surgery, for example coughing, to facilitate endotracheal intubation via relaxation of the vocal cords, to enable mechanical ventilation of the patient, and to facilitate operations on the abdomen or during laparoscopic surgeries where stillness is required. Anesthesia professionals work in teams. Can you talk about those teams and some of the benefits and challenges of working collaboratively? Let's begin with Dr. Murphy. A typical anesthesia care team includes a combination of physicians, nurse anesthetists, CRNAs, or anesthesia assistants, AAs, and optimal patient care is our focus. Effective teamwork in this setting requires that we each have an understanding and acceptance of each other's expertise and roles. Teams should collaborate across disciplines, and all team members should respect the skills and knowledge that each member contributes to the patient care environment. Professor Henrichs, can you talk a little about this dynamic? Like Dr. Murphy noted, optimal patient care is our focus. Today's environment requires a patient-centered approach to care where collaboration among our teams is essential. In my experience, the teams that work together best focus on key elements of collaboration like shared goals, shared decision-making, adaptability and mutual respect. These techniques should be used to plan and deliver anesthesia care throughout the perioperative period. Professor Henrichs, you've talked about some of the keys to collaboration. Is there a standardized approach to how anesthesia care teams are structured in different hospitals? Several team models are possible, and no single anesthesia model is best for all hospitals. Some arrangements will involve the anesthesiologist supervising and assisting at key times while other team arrangements are more associative. For example, in some models and in certain practice settings, the CRNA is responsible for their own cases working directly with a surgeon and with no physician involvement unless requested. If you're just tuning in, you're listening to ReachMD. I am your host, Dr. Shira Johnson, and I have the pleasure of speaking with my guests, Dr. Glenn Murphy and Professor Bernadette Henrichs, on the topic of general anesthesia. You spoke a bit about neuromuscular block and the importance of collaboration in the surgical setting. Dr. Murphy, can you now talk about the importance of monitoring neuromuscular activity during the surgery? Sure. The three main aims of neuromuscular monitoring are to monitor neuromuscular blockade, to decrease the potential complications of neuromuscular blockade, and to evaluate adequacy of recovery of neuromuscular function. Both the American Association of Nurse Anesthetists (AANA) and the American Society of Anesthesiologists (ASA) recommend that anesthesia care teams monitor patients to assess the depth of neuromuscular blockade and the degree of recovery. It is a required standard for CRNAs to do neuromuscular monitoring when the patient is under neuromuscular blockade. How can anesthesia professionals assess neuromuscular block? There are two general ways to assess a level of neuromuscular block; first is qualitative monitoring. This involves stimulating a peripheral nerve and then watching or feeling the muscle twitch. The second way we can assess a level of neuromuscular blockade is through quantitative monitoring. Quantitative monitoring utilizes devices such as the TOF-Watch to stimulate a peripheral nerve and then measure the muscle response. Dr. Murphy, previously you discussed qualitative and quantitative ways to monitor neuromuscular blockade. How exactly is stimulation performed in order to quantitatively monitor and measure neuromuscular block? Using a recording device, various patterns of stimulation can be used with a goal of quantitatively monitoring neuromuscular block. Two of the patterns of nerve stimulation which can be used are single twitch and train-of-four stimulation. Single twitch stimulation involves applying single electrical stimuli to the motor nerve and is primarily used to monitor the onset of neuromuscular block. Train-of-four stimulation consists of a sequence of four successive super maximal stimuli given every half second. Professor Henrichs, can you explain how the output of monitoring devices guide anesthesia professionals' decisions during the surgical procedure? A train-of-four count, which involves counting the number of twitch responses to the stimulation, helps in assessing the depth of muscle relaxation and determining the presence of adequate return of normal muscular function. In addition, train-of-four stimulation can be used to measure the train-of-four ratio when quantitative monitoring is used. These monitors actually measure and quantify the force of muscle contraction and display the results of the train-of-four ratio from 0 to 1.0, or another way of saying it is 0 to 100%. Neuromuscular recovery is generally defined as a train-of-four ratio greater than or equal to 0.9 or 90%, a threshold for determining when to extubate a patient. A train-of-four ratio is an indicator of the presence or absence of fade, which is calculated by comparing the strength of the fourth twitch to that of the first twitch in response to train-of-four stimulation. If the fourth twitch is weaker, fade is present. The train-of-four ratio can only be assessed using a quantitative device and cannot be evaluated using visual or tactile assessment in response to nerve stimulation. I would like to thank my guests, Dr. Glenn Murphy and Professor Bernadette Henrichs, for speaking with me and our ReachMD audience. Yes, thank you. It was an honor. You've been listening to ReachMD. The preceding program was sponsored by Merck. Participants will also compensated by Merck. If you have missed any part of this discussion, visit ReachMD.com/anesthesiology dynamics. Thank you. Learn about the dynamics of working in an anesthesia care team during surgical procedures. When a patient undergoes surgery, a team of physicians and nurses work together to ensure optimal patient care before, during, and after the procedure. Host Shira Johnson, MD dives into a conversation about the importance of teamwork and neuromuscular monitoring with Dr. Glenn Murphy, anesthesiologist and professor at NorthShore University HealthSystem, and Bernadette Henrichs, professor and director of the CRNA program at the Goldfarb School of Nursing at Barnes-Jewish College. 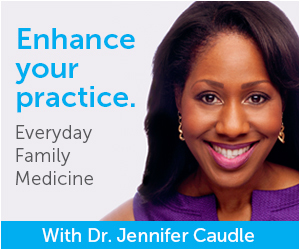 Listen in as both Dr. Murphy and Dr. Henrichs share their insights on these important topics.